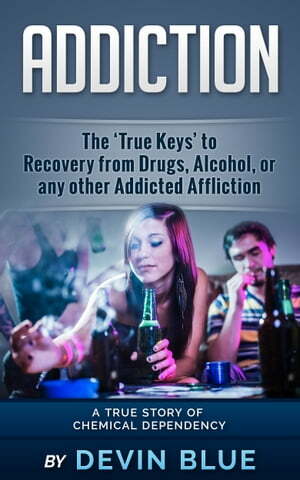 Collins Booksellers - Addiction: The ‘True Keys’ to Recovery from Drugs, Alcohol, or any other Addicted Affliction - A Chemical Dependency Story by Devin Blue, 9781370709281. Buy this book online. Finding the real reasoning behind being addicted to anything can be many times overwhelming. Is it external, internal, environmental, genetic, or some other factors that contribute to it's existence within one's life? Are there logical reasons that can be directly attributed to the cyclical vacuum that is addiction? There is definitive reasoning behind all who are addicted, and the mental aspects are completely significant in order to eradicate it's hold on you or a loved one. This book will take you through the true reasons behind the maladies that haunt so many of us on a daily basis, and yield you the actual tools within your mind to dispose of it once and for all. In addition, you will read my compelling true story of addiction that took me from a boy who was addicted to a man who finally found the keys to rid himself by tapping into and repairing the 'ever-important' psychological characteristics that plague all addicts. This is a 'no holds bar' journey that is very personal on so many levels, yet ultimately so overall therapeutic as well. Are you ready to obliterate the vicious cycle that tries to push you over-the-edge everyday? Are you prepared to delve into the deepest part of yourself to completely understand why you're doing this, and completely find an inner resolve like you've never had before? The problem all starts with what's inside your mind; and that's exactly what will be corrected after taking in the words inside this book. Logical knowledge really is powerful, and the implementation of such knowledge can propel even the most wounded of individuals back to full health again, and ultimately allow for a much more positive future overall. Start your road to a 'real recovery' by grabbing a copy now!